This month the theme is corn, salsa and jelly. 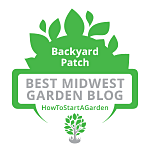 I have located a few herb jelly recipes from some great herb jelly makers, with salsa and corn recipes from my archive to utilize the fact that the tomatoes and corn are at their prime. I am teaching some canning classes this fall so I thought I would experiment with recipes I can include in the classes and share those with you! 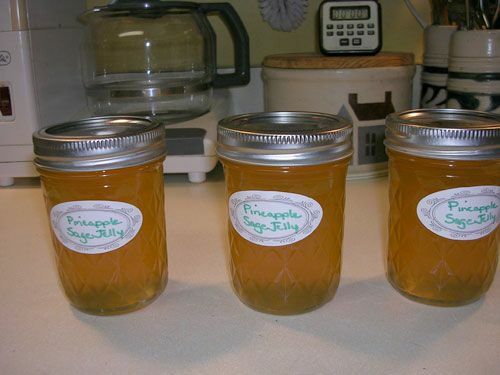 This first recipe is a Pineapple Sage Jelly - I love this plant and unlike many herb is flowers very late in the season and is a great nectar plant for late season pollinators. As many of you know my favorite herb is Lemon verbena. It is not native to zone 5a, so I grow it in pots, but I have traveled to Guatemala and seen it in its natural habitat growing 6 to 10 feet tall. 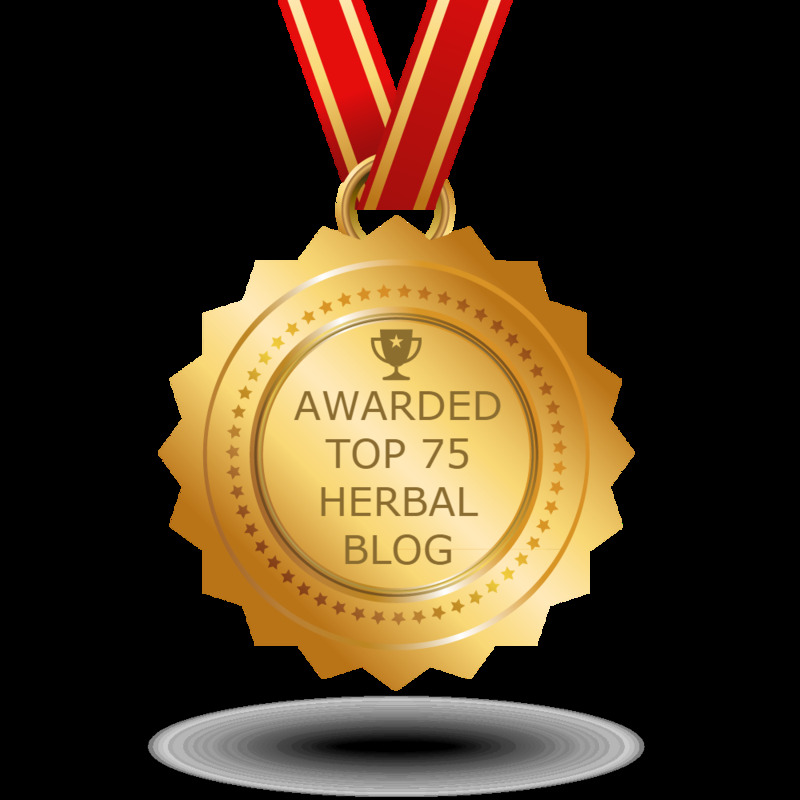 Early in my herb career I found the blog of LemonVerbena Lady. Someone who loves this herb as much as I do. A writer for many years for Herb Companion and Mother Earth News, she was a maker of herb jelly regularly and I love her recipes better than most I find. So with a Jelly theme, I thought I must share one of hers first. She suggests that you use one 12-ounce can of Old Orchard Pineapple Juice, frozen concentrate, reconstituted with 3 cans of water instead of a purchased pineapple juice. She says one can will give you enough juice for three recipes of this jelly. Wash and dry the pineapple sage in paper towels, then coarsely chop it. Put the pineapple sage in a large saucepan, and crush the leaves using the bottom of a glass. (or use a food processor.) Add the juice, bring slowly to a boil, and boil for 10 seconds. Remove the saucepan from the heat, cover, and let sit for 15 minutes to steep. Strain 1 1/2 cups of liquid from the saucepan and pour through a fine strainer into another saucepan. Add the vinegar of your choice (or lemon juice), salt and sugar, and bring to a hard boil while stirring. When the boil can't be stirred down, add the pectin. Return to a hard boil that can't be stirred down and boil for exactly 1 minute, then remove saucepan from heat. Skim off the foam and pour the hot jelly into four hot, sterilized (in boiling water for 10 minutes) half-pint jelly jars. Leave 1/2-inch (or less) headspace and seal at once with sterilized 2-piece lids. I just leave my lids in hot water not boiling until you need them. Can the jars in a boiling water bath for 5 minutes. To use: I would use this jelly on thumbprint cookies, cream cheese and crackers for a quick appetizer or a teaspoon or two as a glaze for the last 15 minutes of baking chicken or pork.